Nice forms part of the French Riviera, the well known coastal strip, made glamourous by the rich and famous, running along the Mediterranean from Monaco to Toulon. Nice has plenty to do for visitors but the surroundings of Monaco, Cannes, St-Tropez and the mountains overlooking the city offer even more excitement along the Cote d'Azur. The Promenade des Anglais runs along the coast and is amongst the best known roads in Nice. The promenade is dotted with hotels, from fancy to standard, cafés and some casinos. The Hotel Le Negresco is particularly well known and opulent. Go inside and take a look, you won't miss the crystal chandelier by Baccarat. The Promenades des Anglais dates back to the early 19th century when a path was first started to make travel easier for the legions of foreigners, mostly British, who owned property along the coastline. It is now a hub of activity with tourists from around the world coming to visit, shop in the many stores in the pedestrian area, eat at one of the dozens of typically French cafés or have a dip in the mediterranean on the other side of the road. It's a great area in Nice! 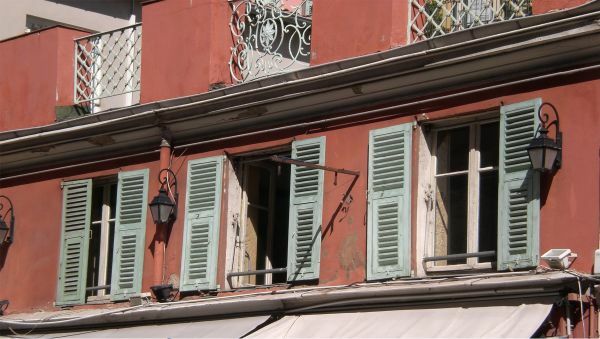 Vieux Nice or Old Nice is a labyrinth of recently renovated ochre, yellow and pale houses. The old town offers the visitor the inner charms of a Mediterranean city. Of particular interest are the Cathedrale de Ste Reparate, the Place Garibaldi, the Saturday Morning Flower Market and the array of art on display almost everywhere. 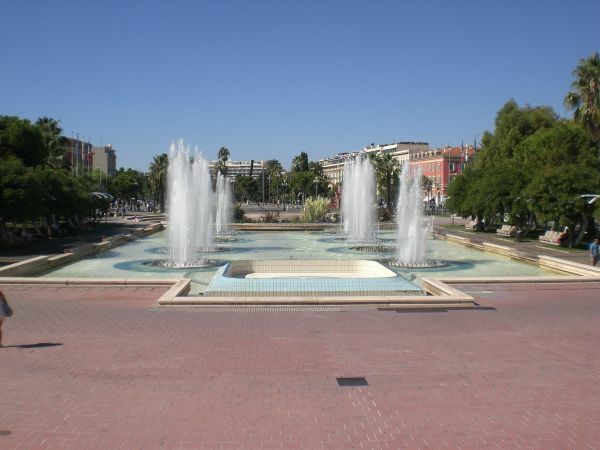 The area around the Place Massena is a hub of restaurants, cafés, shops and tourists. It buzzes with action and is a great place to use as a base, along with the Promenade des Anglais, during your stay in Nice. Les Jardins Albert I are next to the square with their impressive fountains and greenery. Cimiez is a wealthy suburb of Nice. It used to form part of Roman settlement and the remains of a Roman bath and Amphitheatre are still there to visit. The Musee d'Archeologie is particularly interesting to visit. This beautiful cathedral, located in Cimiez, was built in a distinctly Russian style of architecture, was completed in 1912 and is the only Orthodox style building outside of this faith's traditional geography. The Cathedral is now home to an excellent collection of Russian Orthodox art. St-Paul de Vence is renowned as an artist mecca. The fortified town is a popular attraction for visitors to the French Riviera. St-Paul de Vence has an association with art that goes back to the early 20th century when various artists gathered in what is now called "Colombe d'Or" restaurant. The artists paid for their room and board with their paintings. The restaurant is owned by the artistically wealthy Roux family who collected a vast array of art as a result of this and still have it on display. The Fondation Maeght just outside the village is an amazing museum set in a pine forest. If you are into art, have a look, you'll like what you see. The height of Glamour and one of the best known spots on the French Riviera. The immensely popular town can swell in population to over 12 times its winter size. This can become a bit of a problem as the traffic jams in and out of town in the summer become ridiculously long. Get there early and leave late and you'll be fine. Visit the Vieux-Port and people watch from one of the many cafes or visit the old citadel by strolling the streets and taking in the old ochre houses. As far as St-Tropez beaches are concerned, Pampelonne is the most popular beach. On Pampelonne, you'll have to frequent one of the many restaurants that run the length of the beach. These restaurants all rent out deck chairs and parasols. For other alternatives go to Bouillabaisse, Les Graniers or Plage des Canebiers. Best known for its international film festival, Cannes is a beautiful Provencal seaside town a short distance from Nice. Some interesting sites include the St-Honorat monastery, the charming old town and the popular beach, Plage de la Croisette. The Kingdom of Monaco is sandwiched between the borders of France and Italy to the west and east and the Mediterranean and Alps to the south and north. 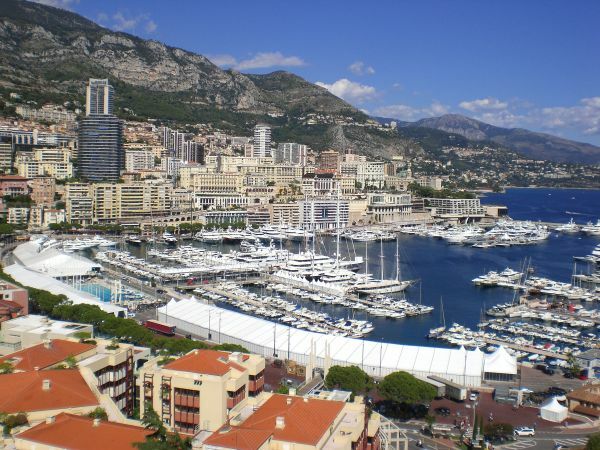 Visit Old Monaco and have a look at the principality which is also known as "Le Rocher" or "The Rock". The stores in Nice are amongst the most fashionable in the world. Bring your credit cards and shop away. The Place Massena has the boutiques and stores avid shoppers are looking for. Museums of interest in Nice include the Musee d'Archeologie, Palais Massena, the ever popular Musee Matisse, Musee des beaux arts and the Musee Marc-Chagall. The beaches in Nice and the surrounding areas are popular with locals and tourists alike. The beaches along the Promenade des Anglais are popular, rent a deck chair, an umbrella and enjoy the view. Home of the popular salad. Lettuce, boiled egg, green beans, olives, tuna, anchovies, tomatoes and olive oil. This soup, a poor man's meal in old times, consists of rockfish, squid, tomatoes and a variety of spices. Do book ahead of time and state that you will be ordering a bouillabaisse. Garlic, Garlic and more Garlic! With some vegetables of course. An Arabic dish, it consists of slow cooked lamb or chicken served with couscous and vegetables. Delicious. Be careful with the Arissa, it's spicier than you think. Goose liver pate is a delicacy. Served with a well-chilled sweet Sauterne, it makes for a delicious entrée but be careful as it is quite expensive and heavy to digest. You can find excellent hotels in Nice. Many of the main hotel sites will have listings for you in Nice. Find Nice Hotels. There are loads of hostels and cheap accommodation around Nice. Prices vary from hostel to hostel but are generally affordable. Search and book a hostel in Nice. The airport in Nice is modern and newly renovated. There are two terminals, one for domestic flights and the other for international travellers, so double-check what terminal you arrive and depart from. The journey from the airport to the city center takes about 30 minutes. You can get more information on the airport in Nice by visiting - www.nice.aeroport.fr. The public transportation system in Nice is very good and will get you where you want to be at a very affordable price. The best way around the French Riviera is definitely by car. Rental prices are affordable but gasoline is not cheap. Be vigilant on the roads, the French tend to drive like they are in a race so don't try and compete with them, especially in the cities. The Eurostar is a great way to get around France and to France's major cities like Paris or Marseille, and onto London, Amsterdam and Brussels at high speed. The main train station in Nice is called the Gare du Sud. The SNCF, the French Train body covers the country and is often the most economical and best way to get from one end of France to the other. Visit their web site at SNCF.com. Nice is a beautiful city with beautiful people.